So much fun for a dress-up party! 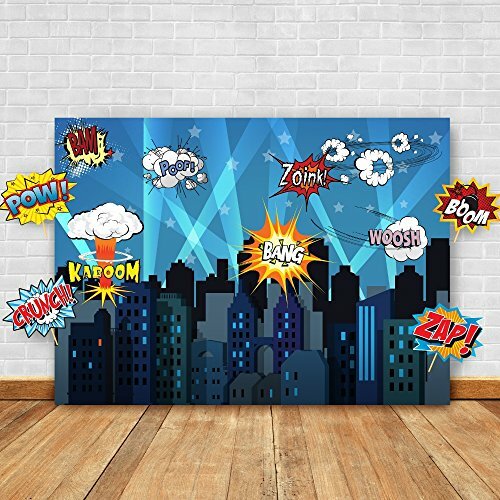 You will be completely blown away by these spectacular superhero-themed backdrop and props. The slightly oversized card props will naturally bring out your guests' creative genius and humor. The Outlook Company- Premium Gold Unicorn Birthday Cake Topper, Unicorn Horn, Ears and Eyelash Set For Any Event, such as a baby shower, wedding, birthday party or more!! !